Over 1.6 million children have lost the care of their parents in Zimbabwe. HIV/AIDS has had a devastating effect on families and the communities they live in. Some steps have been made to protect the most vulnerable children, but much more remains to be done. Around 14.5 million people live in Zimbabwe. The Zimbabwean economy is fragile and the effect on the labour market is dramatic as the majority of Zimbabweans remain underemployed or unemployed. Unemployment is particularly high in rural areas, and many people (especially men) move to urban areas in search of work. Unfortunately, they do not always find a stable job there either. According to the World Bank, about 72 per cent of people live in poverty. Poverty is higher in rural areas than in urban areas. The poverty rates are highest in the south eastern regions of the country, where many people live off farming, but the land is not very productive and the area suffers frequent droughts. An estimated 1.6 million children live in extreme poverty. These children do not have access to the most basic resources such as food, decent housing, safe drinking water and sanitation facilities. Poverty and the lack of employment often result in malnutrition. Around 28 percent of children under the age of five are stunted and 56 per cent of all children under 5 suffer from anaemia. In 2016, Zimbabwe faced one of the worst food crises of recent times. The number of households who did not have enough food nearly doubled and almost 33,000 children were in urgent need of treatment against malnutrition. In the south-western provinces of the country, over half of the population were struggling to avoid going hungry. HI/AIDS is one of the country’s most pressing health issues. 14 per cent of Zimbabweans live a life with HIV/AIDS, one of the highest rates in the world. Out of over one million people infected, 180,000 are children. Children whose parents are HIV-positive are especially vulnerable. They risk becoming infected themselves, losing parental care, or may face social discrimination. Access to health care is also problematic as it is often neither accessible nor affordable. This is especially true in rural areas where visiting the nearest clinic can involve long walks. When people get there, there is no guarantee that the centre will have the necessary equipment or medicines to treat their ailments. The rights of millions of Zimbabwean children need to be protected. A high number of children never receive a birth certificate, which increases their vulnerability and makes it difficult for them to be enrolled in school and seek medical attention. Zimbabwe boasts one of Africa's highest literacy rates and the country's education system was once considered the best in the region. However, the situation has deteriorated recently and around 11 per cent of children do not attend school. Many families cannot afford to send their children to school. Instead the children are forced to go to work in order to contribute food and money to the family income. According to a study by the Zimbabwean National Statistics Agency, in some areas of the country, over half of the children work. 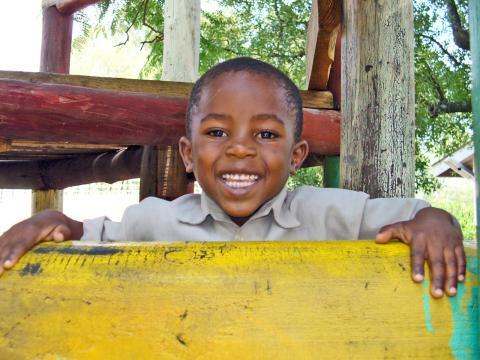 SOS Children’s Villages has been supporting children, young people and families in Zimbabwe since 1983. Strengthen families: SOS Children's Villages works with local organisations and communities to support vulnerable families so that they can stay together. We ensure that they have access to basic goods and services such as health care and education. We also provide training and advice so that parents can break the cycle of poverty and generate an income to look after their children. Many of the families in our programmes need special support because they are affected by HIV/AIDS. By strengthening families, we prevent children from being forced to go out to work. Education: SOS Children’s Villages works to make sure that children receive a good education, which will help them care for themselves in the future. 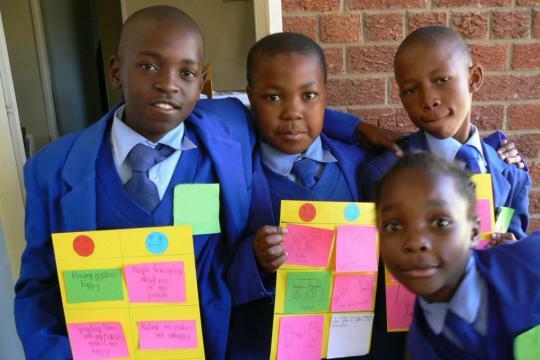 We run kindergartens, and primary and secondary schools in Zimbabwe. These educational centres are attended by children in our care and those from the neighbourhood.